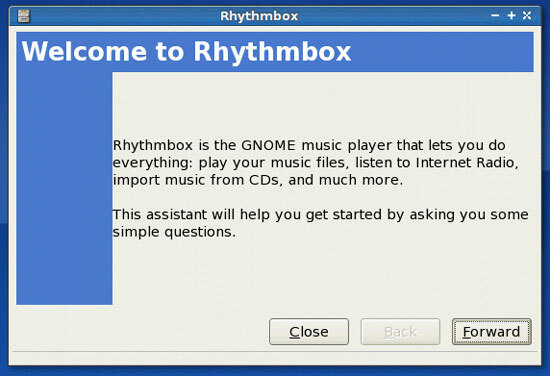 This article shows how you can use an iPod on a Linux desktop with the Rhythmbox audio player. 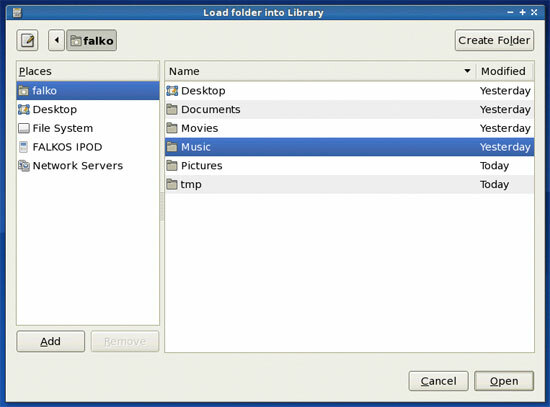 It covers how you can upload MP3 files from your desktop to your iPod and delete files on the iPod. 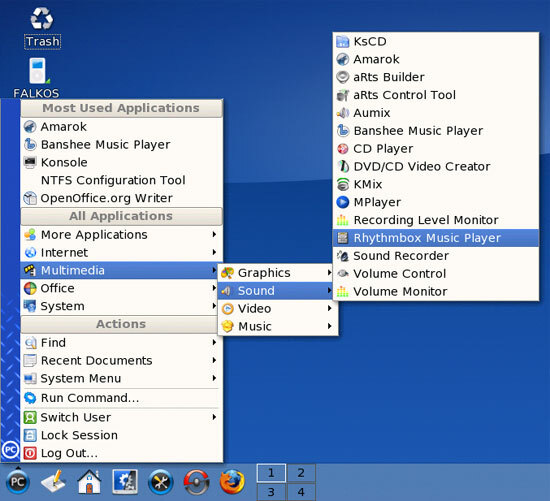 Normally, Apple's iTunes software is needed to manage an iPod, but iTunes is not available for Linux. 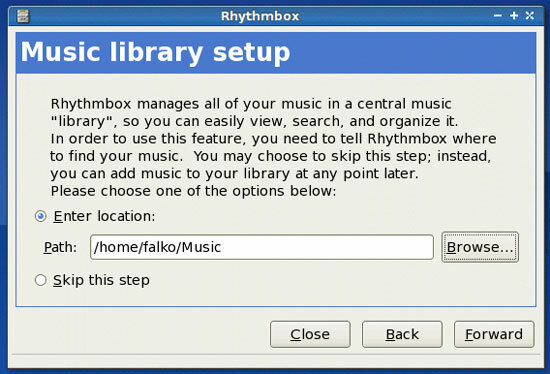 Fortunately, there are Linux alternatives such as Rhythmbox that can handle the task. I have tested this with an iPod nano on a PCLinuxOS 2007 desktop where I have installed Rhythmbox using the PCLinuxOS package manager. 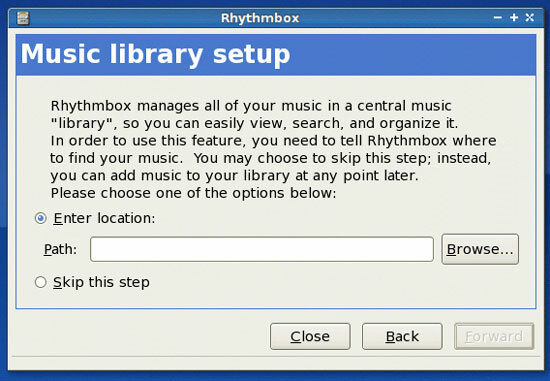 If Rhythmbox isn't already installed on your desktop, install it using your distribution's package manager. 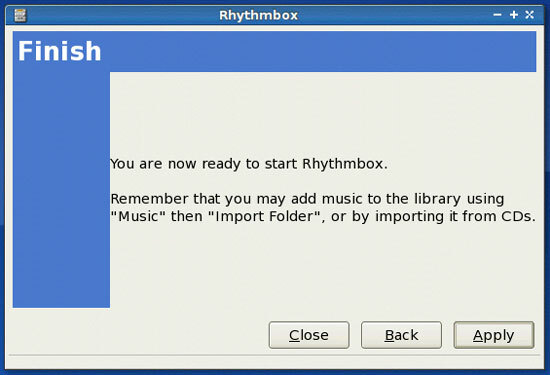 The usage of Rhythmbox is the same, regardless of the distribution. First plug in your iPod into your desktop system using the iPod USB cable. The iPod should be mounted automatically, and you should find an iPod icon on your desktop. 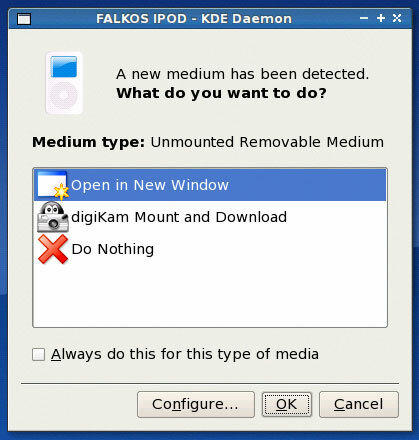 On my PCLinuxOS 2007 desktop, I get asked what to do with the new medium - I select Open in New Window to make sure the iPod really gets mounted (I close the new window then). Depending on your distribution, your iPod might as well be mounted immediately, without a question. more and see what happens. so the problem is, I was able to sync it once, but can't seem to sync it again ? Hello ! Thanks for this article.... I am using Linux Serena 18.1 and I have chosen Rythmbox to replace iTunes and have managed to download my music and subscribe to my podcasts YAYYYY ! Latest issue is getting the podcast ON TO my iPod (which is how I listen to them !). When I plug it in, it scans, then I ask it to sync and on the computer I can see the podcasts showing on the iPod, but when I unplug and check.... The new podcasts are not there ! Should I have emptied the iPod first before changing programs ? Help! I tried to sync my ipod to Linux, and all of the music disappeared from both devices! Is it gone permanently, or did it go to a file I don't know about?